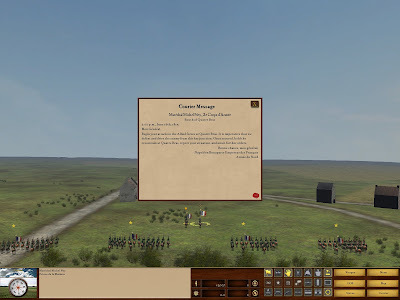 This is a review of the first add on for Scourge of War Waterloo, Quatre Bras. No, we are not talking Brahma here. 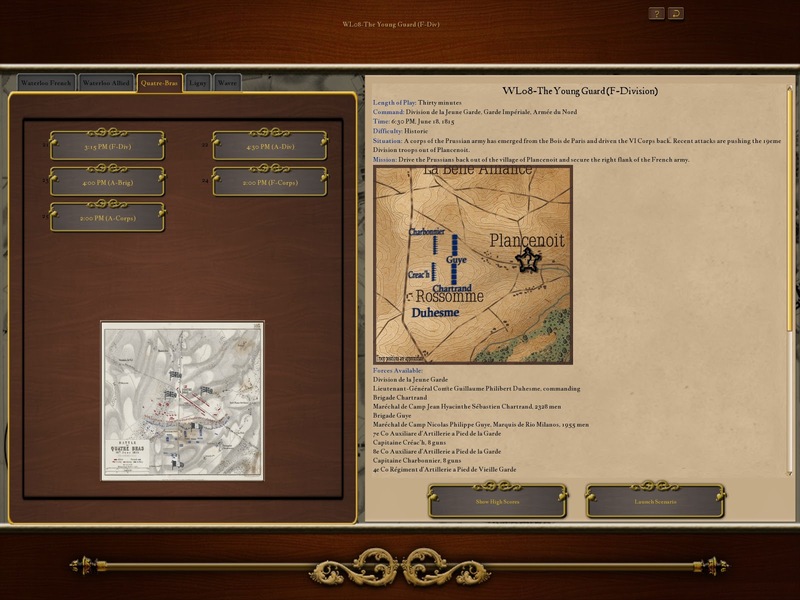 It is released by Matrix/Slitherine/Ageod and developed by NorbSoftDev. NorbSoftDev also brought us Scourge of War Gettysburg and it's add ons Antietam etc. Quatre Bras was fought on the same day as Ligny. Quatre Bras pitted the French against an English and coalition army, while Ligny had the French fighting the Prussians. 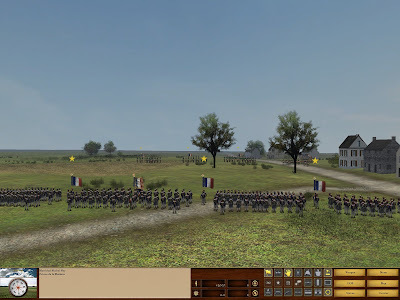 Due to conflicting orders the French Ist corps under D'erlon spent the day marching between the two battlefields and admiring the Belgium countryside. This corps could have turned the table at either battlefield and made a great change in the subsequent battle of Waterloo. The French were commanded by Marshal Ney (Le Rougeaud) and named by Napoleon as the 'bravest of the brave'. The English and coalition army was commanded by the Duke of Wellington, but he wasn't actually present on the field until about 3:00pm. Quatre Bras was an even more "near run thing" than Waterloo. The actual battle was an extremely see-saw affair all day long. It is a command simulation game. The players' view can be an omnipotent eagles eye or only what the various commanders could see from HITS (headquarters in the saddle) unless you are John Pope. The uniforms and troops in general are a sight to behold, and bring all of the malevolent beauty of a Napoleonic battlefield to life. You can hear the sounds of cannons firing, flags fluttering, and regimental bands playing. Thankfully, the only thing missing is the tent or house where a growing pile of severed limbs is situated. Your orders can be instantaneously transmitted to your subordinate commanders, like in the twentieth century by radio or, as was historically correct, by courier. You can see the couriers riding this way and that across the battlefield with their precious cargo. 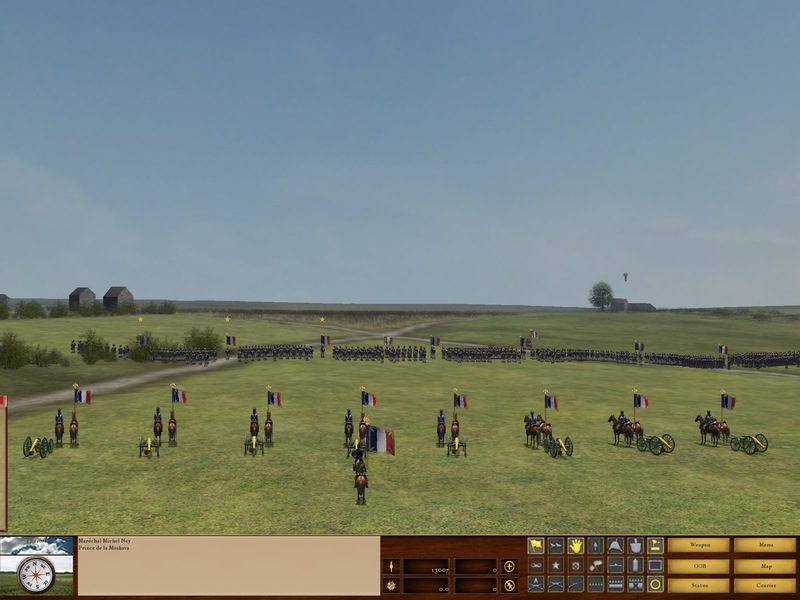 The game system is in some ways the same as it was in the beginning of the series, only now it has been fined tuned to ideally replicate a Napoleonic battlefield. You can deploy skirmishers, form square or column exactly as your nineteenth century counterpart. One concern that a lot of gamers are especially vocal right now is about a game's AI. Have no fear about that department with this series. Just as with its older brother Scourge of War Gettysburg, its AI is up to the task whether an enemy or subordinate. As a general, please remember that all troops, even guards, can only take so much. Napoleonic tactics were a murderous game of 'rock, paper, scissors'. Use your skirmishers to pick at your enemies' line to lower their morale and steadiness. 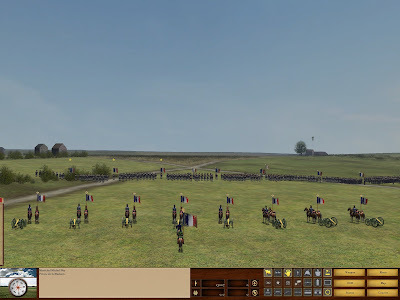 When possible, have both infantry and cavalry in supporting distance of one another, thus forcing the enemy to form squares and then cut bloody swaths through them with your artillery. Then when they are about to, or have cracked, ride them down with your cavalry. To anyone who has Scourge of War Waterloo and those who are still in the civil war with Scourge of War Gettysburg, click that mouse right now to buy this new add on and /or game. Do yourself a favor and download the SliderToolBar mod. While we are on mods, please check out all of the well done mods for both Waterloo and Gettysburg. The community has really put their heart into making some of these very impressive and adds to the life of the game. For those of you who are put off by the letters RTS, worry not. You can play as fast or as slow as you want, and pause the game and think about your next orders to your heart's content. Multiplayer games can support up to thirty two players and can be entered through the lobby. Steam and non-Steam players can join as well. 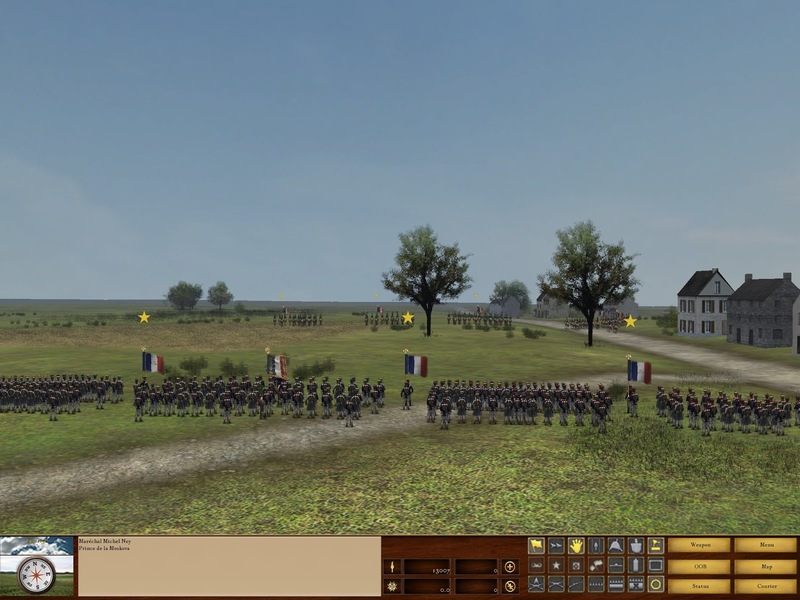 Thank you again NorbSoftDev for these forays into Napoleonic battlefields. Now get going, and give us Ligny and Wavre, or even better Friedland, Eylau, or Wagram. Nato, nukes, and nazi's aren't the only things that sell a wargame. For those in need or are rusty, there are a lot of youtube video links on the Matrix Games Scourge of War Waterloo forum.